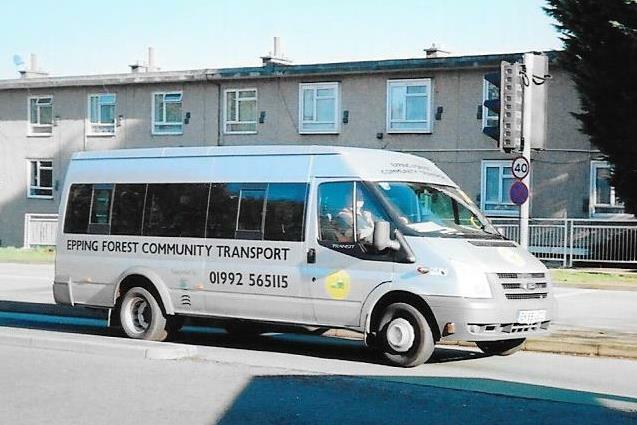 Epping Forest Community Transport (EFCT) are a registered charity specialising in minibus transport for those who have difficulty with transport and in the voluntary sector. Much of what they do is with volunteer drivers. Their website covers this in more detail. 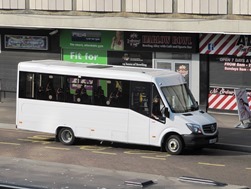 EFCT have been involved in bus service provision on the fringe of our area for a while with a small network of mainly isolated occasional but scheduled links in the Hoddesdon and Epping area. 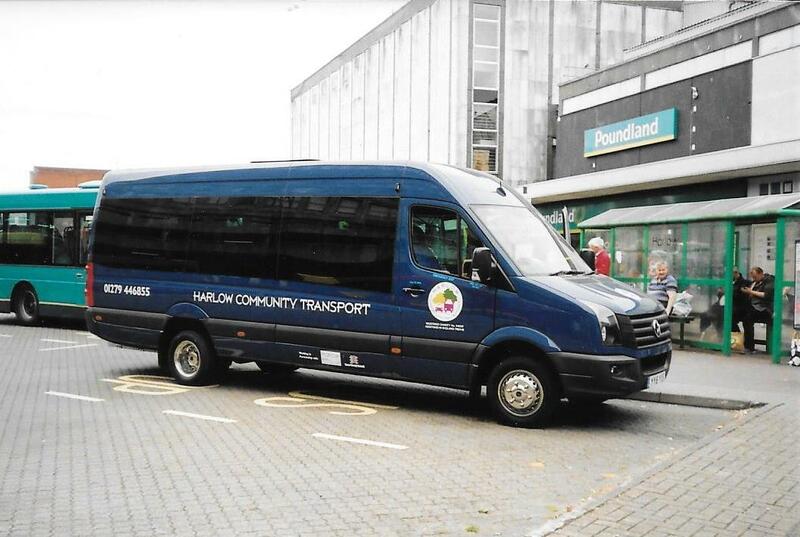 They came to mainstream operation when they successfully won the ECC contract to operate the 347 (Harlow to Hatfield Broad Oak) on 4th November 2014. 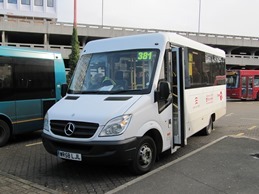 The 347 has always had a very high "per passenger support cost" meaning that when funding cuts were being considered it was always a strong candidate for a cut, and it is likely that this would have taken place in April 2016, except that EFCT altered the service to a 3 days per week commercial operation. 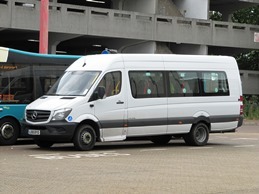 This coincided with the introduction of commercial route HSB01 (and later addition HSB02) with replaced part of Arriva local route 7 from Churchgate Street. This also operates 3 days per week. 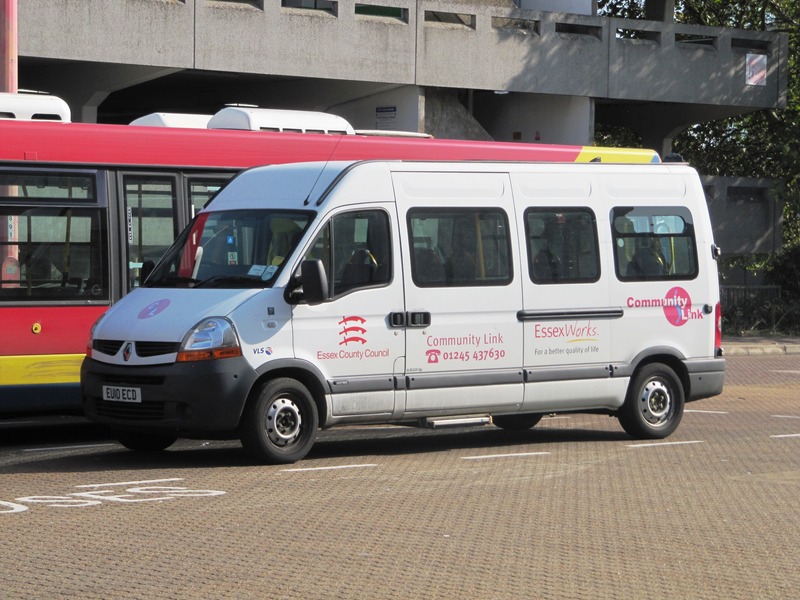 A later addition was that of the C392 service which replaced the 392 from the edge of Harlow at Water Lane to Rye Park. 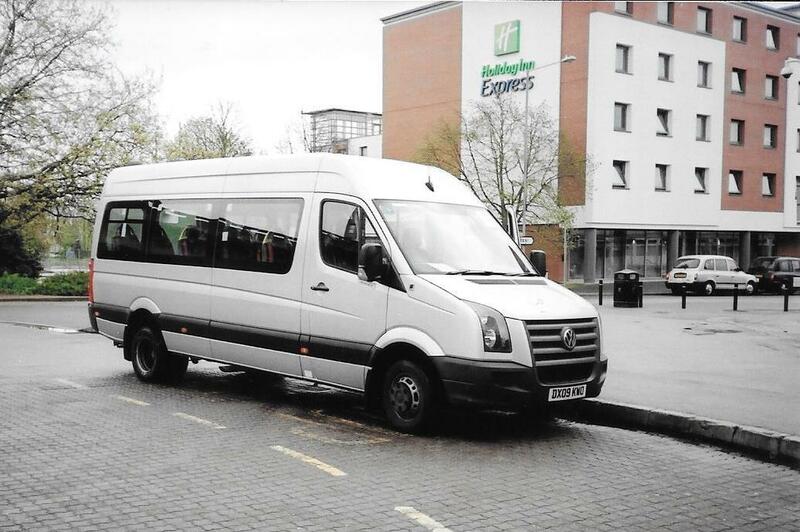 Vehicles are typical of what you might expect in the welfare sector and are of course all accessible. Unfortunately none carry any route or destination displays to speak of. 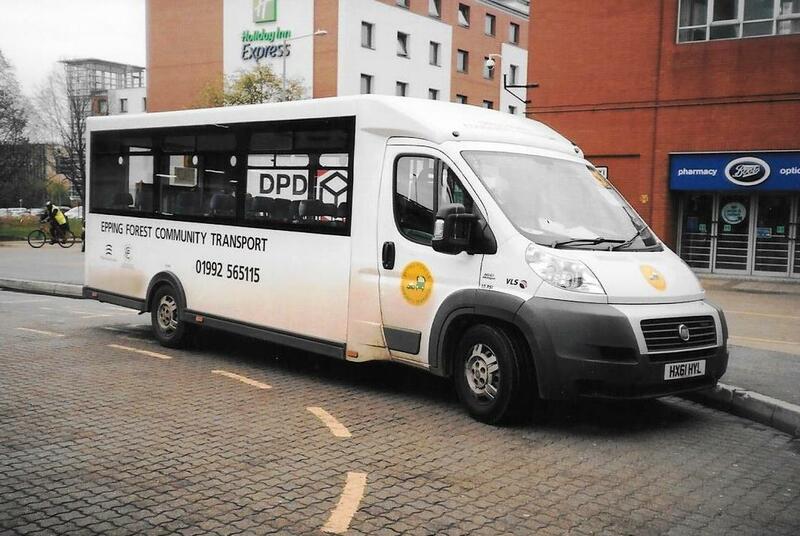 EFCT now incorporates what was once the separate Harlow Community Transport. Usefully for the local bus operations, this name is still carried on some vehicles. The full fleet list is not know or detailed below, the pictures representing some examples of operations seen in the town. 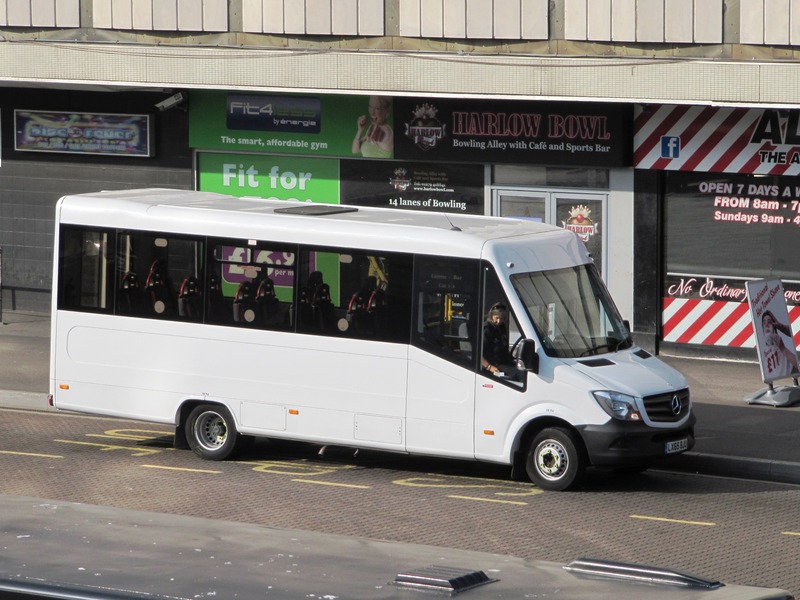 Essex Community Transport (ECT) is the name associated with the winning of tenders for route Monday to Saturday 381 (Harlow to Coopersale) and SB12, which provides a twice a week replacement for the previous Tuesday to Saturday 47/147 service. 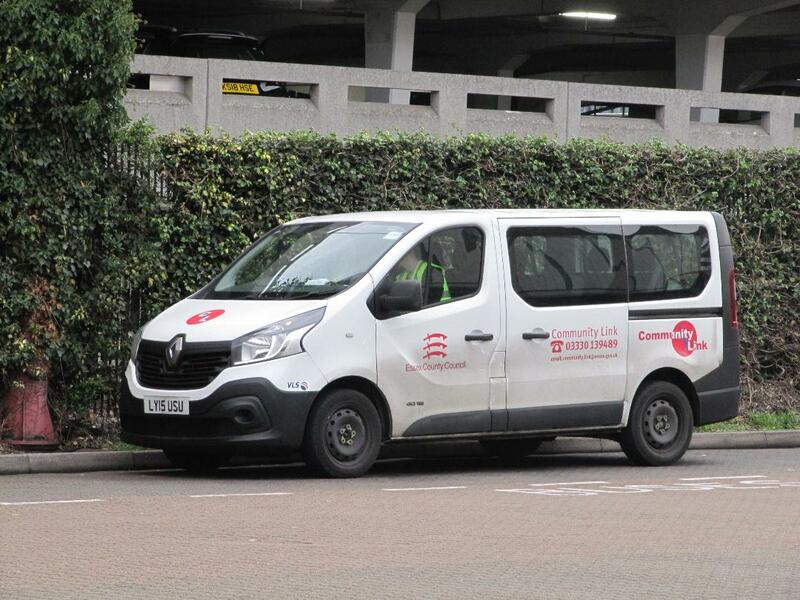 ECT vehicles are separate to those of EFCT. 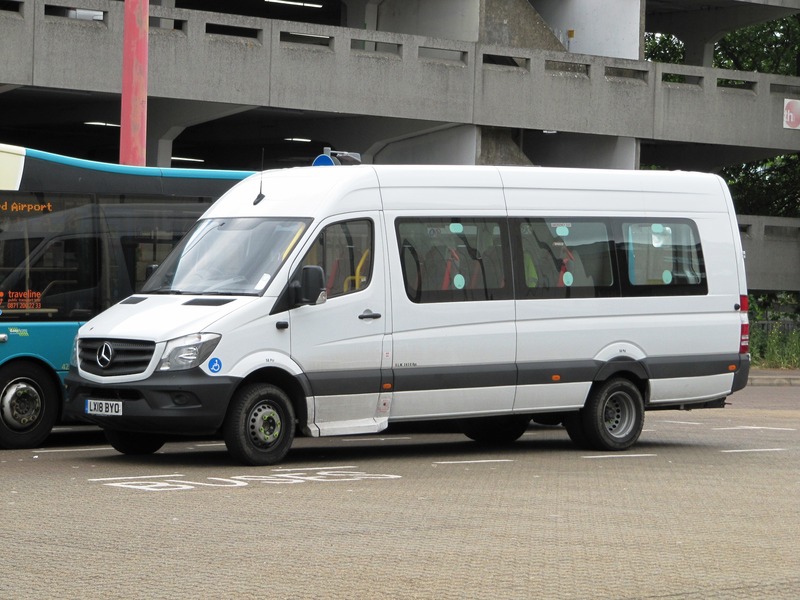 Examples only of some vehicles noted operated in Harlow and around. 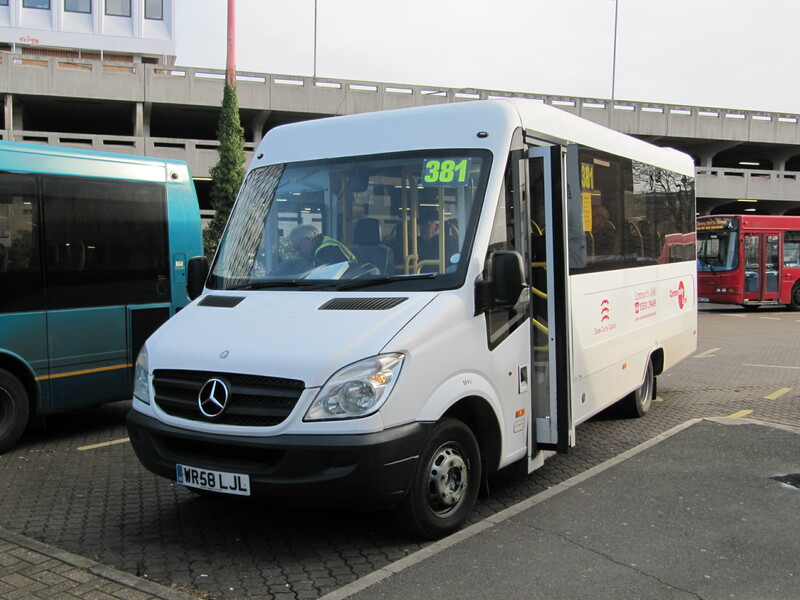 347 Harlow to Harfield Broad Oak - 3 return journeys on Tuesday, Thursday and 1 return journey on Saturday. 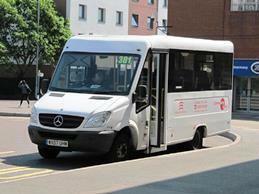 HSB01 Harlow to Churchgate Street - 4 return journeys on Monday, Wednesday, Friday and Saturday. 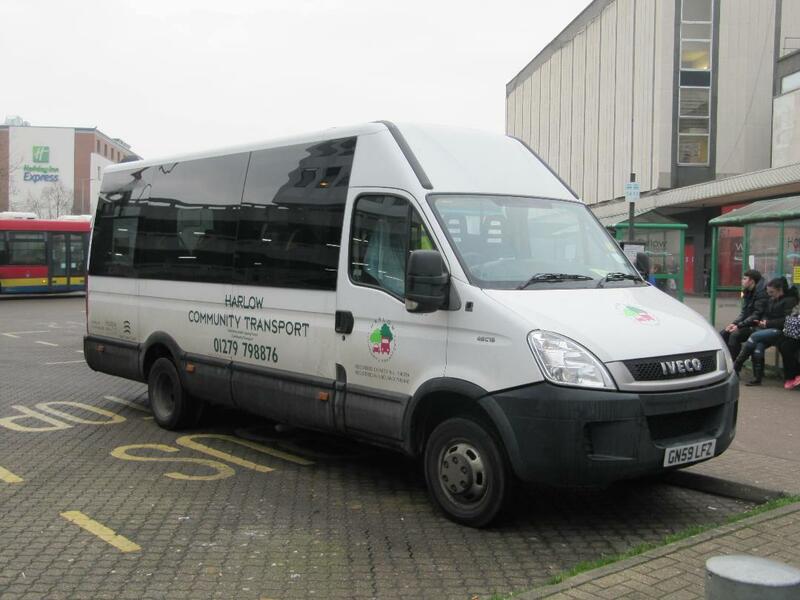 C392 Water Lane to Rye Park - 10 return journeys on Monday to Friday and one return journey (Tylers Cross to Hoddesdon Sainsburys on Saturdsays. 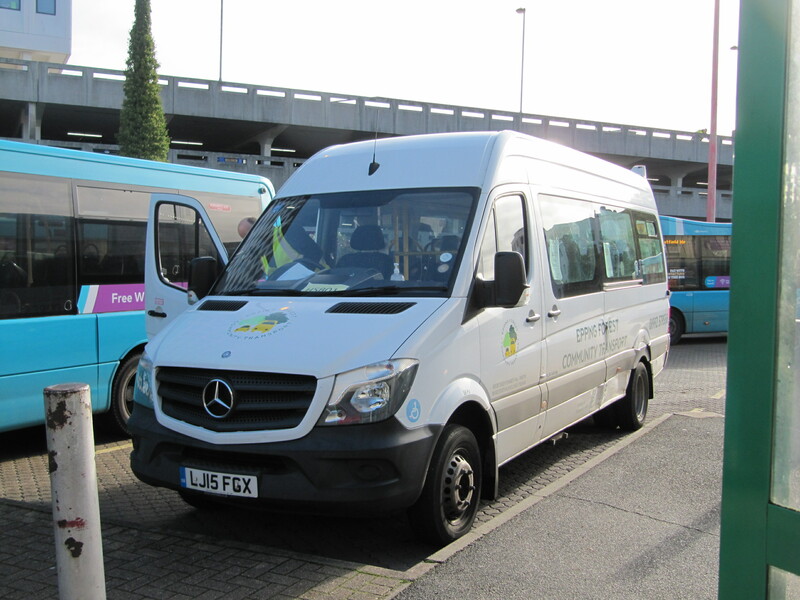 (See timetables page on EFCT website).